The Nintendo Switch announcement was met with a cautious optimism by many, people finding it almost surprising that Nintendo have innovated in what is generally considered an interesting direction. Could this be the beginning of Nintendo throwing off their guise of the kid at school who defended their 'Thanks For Participating' medal every year on Sports Day? Well, at least as far as the home console market is concerned. Here are some of the must answers that have been in my head since the announcement. Firstly, Nintendo presented a really impressive line-up of key partners for their new console offering. 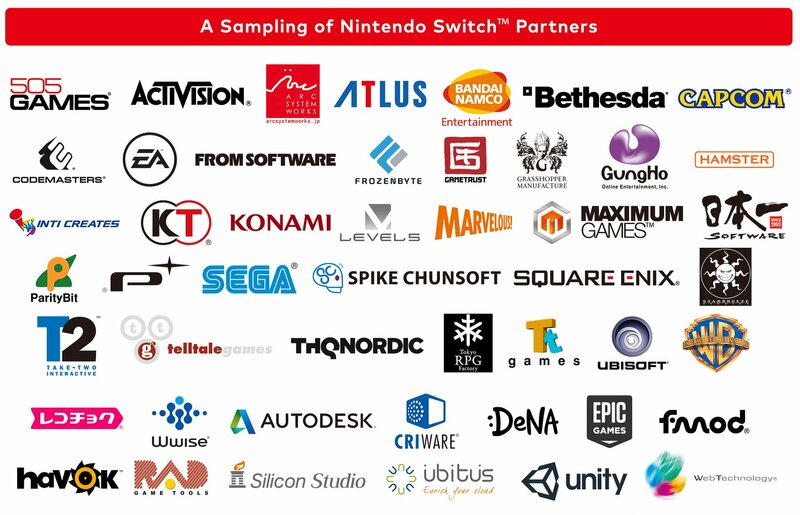 Big names like EA, Take Two, Activision, Ubisoft and Bethesda among many more really make it seem like the Switch is coming in with a bang. It all seems great but there's no confirmation of anything truly solid, a lot of these guys signed up for the Wii-U and never resulted in anything of substance. Call me the eternal pessimist, but the idea of waiting for the next blockbuster from EA to come out only to receive Battlefield Heroes 2 or nothing at all isn't much to hang your coat on. That's not to say Nintendo can't or won't release on the same schedule as the other consoles, or even that they should, but we need more details before we can really get too excited. Let's talk price points. Nothing has been formally announced and rumours have been abound but there is definite cause for concern here. 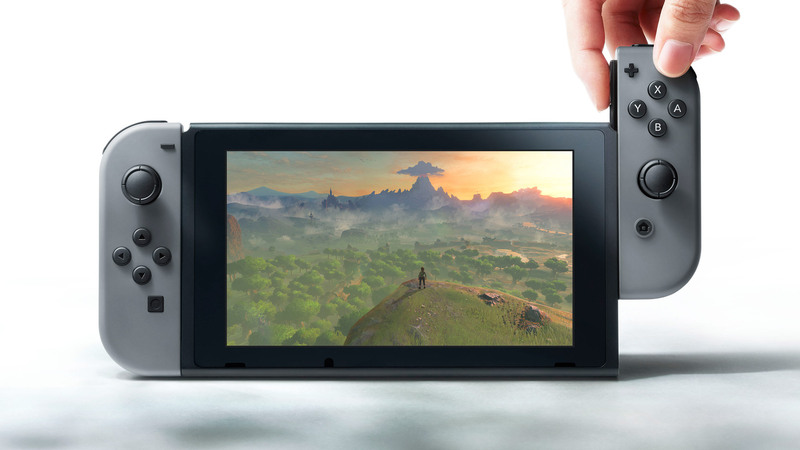 The Switch is looking to have some form of 2 part processing setup: the tablet part has it's own processor for on the go and the bulk of the power while the 'base unit' carries it's own for pushing out higher quality images. Again, this is all based around vague speculations, rumour and mutterings but seems to be the more solid of them all. This however, takes the Switch out of the 2-in-1 category and puts it into a 2-in-2 area. The real concern here is twofold. Firstly, will Nintendo charge a reasonable and 'safe' price for them to market at for widespread adoption of the platform. They'll need to hit a real sweet spot as the larger share of their audience will be picking this up as an additional console (already owning a PS4, Xbox or gameworthy PC). Secondly, they will need a pricepoint that shaves off margins if the 2 processor setup is as pricey as it sounds. This pricepoint is more important when you consider they need the widespread adoption before those key partners we mentioned above invest fully in the system and push out more titles. We were firmly impressed upon that we would be able to use the tablet portion of the system on the go. But does this come with caveats? Firstly, battery life. The tablet looks tiny and incredibly thin, if we look at similar sized tablets available on the market, their battery life is pretty limited. While most tablets can last for most of the day, rarely are they being used to perform such intensive tasks as gaming while connecting to an external controller of some form. Whenever they are, you can all but see the battery meter ticking down. This will be a huge crunch point for the worthiness of a handheld with such a small form factor. For an example, see the chart below. 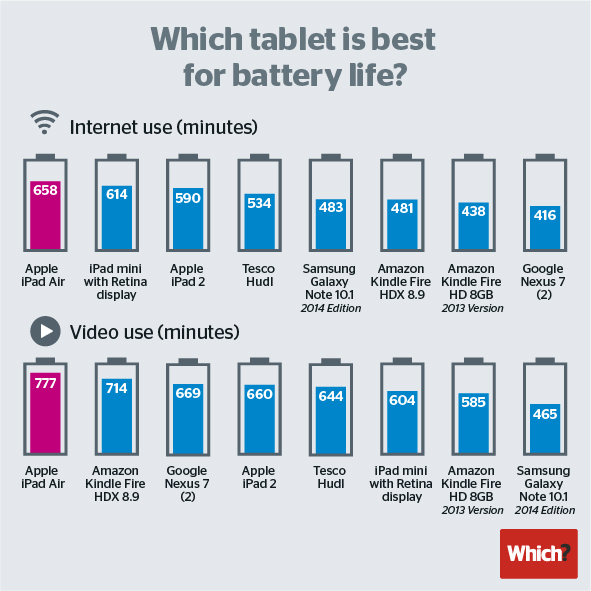 These are all much larger tablets with much more room for a bigger battery and performing less intensive tasks than gaming while being tested. Food for thought certainly. The second caveat is whether the processor contained within the tablet portion of the console is capable of running things as well as when it's docked within the main unit. It seems unlikely the main console chip is there for show or solely to upscale for TV qualities (1080p or higher), and therefore what would the knock-on effect be? Can you not play your favourite game on the go because it requires too much juice? 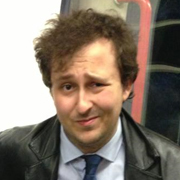 Will your game become more laggy or downscale graphically on the bus? Surely this has been considered at Nintendo HQ but there's a huge question mark over the whole deal. There's also a couple of points to consider around the controllers. While it's unlikely that you will need to fall back on using the two side controllers separately to play a game with friends (if you're in for multiplayer, odds are your friends will bring their own or you'll have the controllers) but how comfortable will they be to play with? 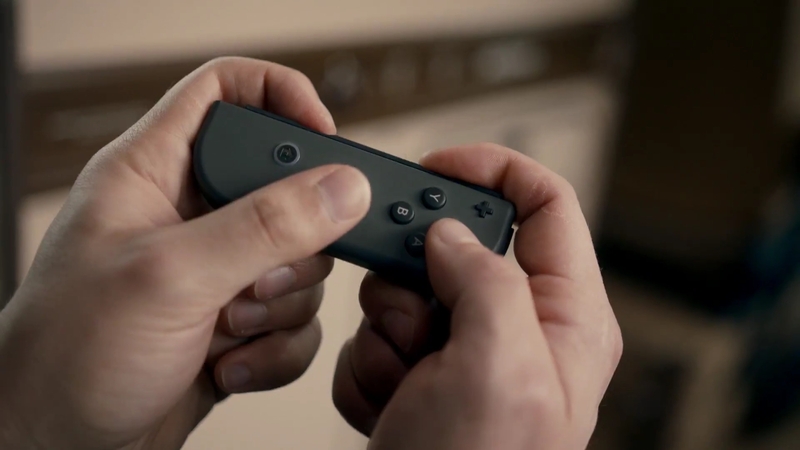 The likelyhood of them being comfortable to hold in one hand (as when slotted into the tablet portion) and with both hands (removed to use as a full controller) seems pretty slim. Either the full controller or mini controller comfort level will need to be compromised and it'll be interesting to see how this is tackled. Also, they clip into the tablet in an interesting manner. When sliding in, they slide on rails from top to bottom to fix into place. We all get really into our games and animated while playing, as well we saw with the infamous nunchuck through the TV issues with the original Wii. What's to stop the two side paddles from sliding up and out from their rails during a vigorous round of Mario Kart? Presumably there are some secure latches to slide in place but we have no detail on that as of yet. So that's my list of concerns. Likely a lot of them will be answered come January when Nintendo talk some more around the Switch. However, surely at least some of these should have been put to rest early. With most other companies, when they announce a new product, they come out with an array of answers to hand, demos and playstyle examples akimbo. Nintendo have always been different, but I just can't ignore the nagging voice in the back of my head telling me that a lot of details have been glossed over purposefully of a concept that will struggle in reality. I hope I'm wrong, I hope all of these concerns are cast aside and people giggle about me on forums a year from now for being such a pessimist. For the record, I'm really looking forward to being invited to any number of rooftop parties and basketball games to play my Switch. Just, next time Nintendo, please be a little more forthcoming. We'd all appreciate it.